Sweet Home 3D is a free interior design software that helps you placing your furniture on a house 2D plan, with a 3D preview. Sweet Home 3D comes with 50 pieces of furniture, but you may also import some additional objects in Sweet Home 3D. To get more objects, visit this regularly updated object model page. Print, plan export with Copy/Paste. Sweet Home 3D provides a full help accessible from its Help > Sweet Home 3D Help menu. 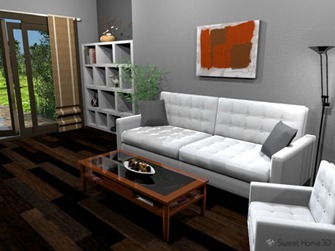 Sweet Home 3D free Interior Design software requires Java Runtime Environment. Get It Here.